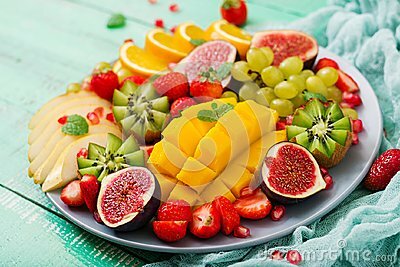 Platter fruits and berries. Vegan cuisine. Dietary menu.